gained silver medal in Sochi Winter Olympics 2014. Kim YuNa and grasped gold medal. home-ground advantage ridiculously beaten Kim YuNa. However, actually Kim YuNa was pretty cool. In sports we find so many such cases. semifinals thanks to home-ground advantage. Korea moved to semifinals, and this must be the mostly nasty moment". 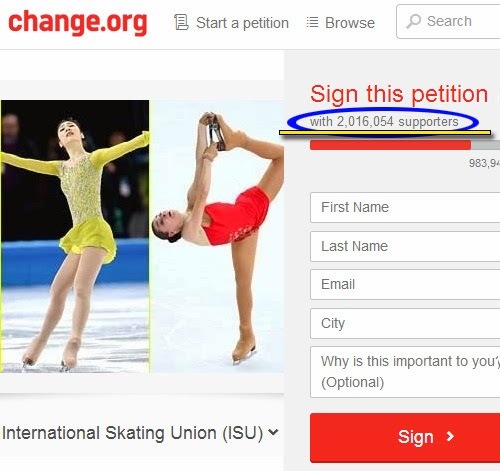 But some Korean people did not want to finish "Kim YuNa's affair" with "sorry". They might to give gold medal to Kim YuNa surely. The bitter counterattack of Korean people has been started. signed for this. But this was only a rumor and no rejudgement. got bronze medal at female short track speed skating 500m in Sochi Olympics. British player is dropped out of the race through foul. 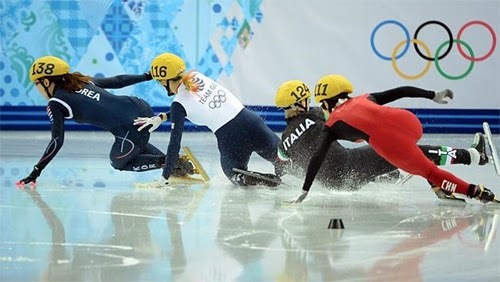 Elise Christie apologized instantly, but Korea people were also angry. been eliminated official Twitter & Facebook accounts for her remaining events. In Sochi Olympics, Korea players did their best. But Korea people are dong best to disgrace their own country. 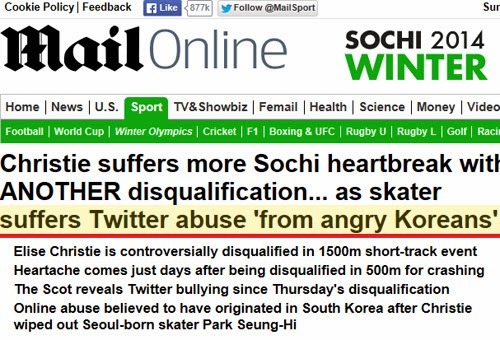 terror against Elise Christie from Korea "(Cyber Bullying, Twitter Abuse" quickly. And the advisory team of GB Winter Olympics had been eliminated official Twitter & Facebook accounts for her remaining events.